THIRUVANANTHAPURAM: ‘Kerala ganja’, smuggled through the sea, reaps rich dividends in Sri Lanka, though the Sri Lankan Navy has foiled a series of smuggling attempts recently. In the latest instance, four persons who were smuggling 28 kilograms of ganja were held in a joint operation by the Sri Lankan Navy and local police from the sea off Thalaimannar coast the other day. This was the fourth seizure of ‘Kerala ganja’ in Sri Lanka this year alone. 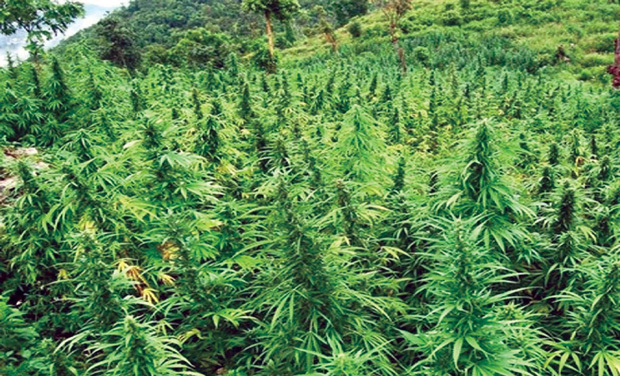 ‘Kerala ganja,’ especially Idukki ganja, is in much demand in the international market. Even low quality ganja is being smuggled as Kerala ganja. Most of the smuggling originates from the Tamil Nadu coast under the cover of fishing boats and the enforcement agencies find it difficult to trace the smugglers, an official of the Coast Guard said. The Coast Guard also maintains a vigil against contraband smuggling through the sea. The Iranian vessel intercepted by the Coast Guard off the Kerala coast the other day was also suspected to be involved in smuggling of contraband. In March this year, the naval personnel had seized 120 grams of Kerala ganja and 50 ‘modaka’ ( a sweet) from a person at Puttalamarea and in Febraury 1.8 kilograms of Kerala ganja was recovered from Vavuniya town. A major seizure in the recent past was 3.5 kilograms of Kerala ganja from a person at Eluththoor in January. Sri Lankan High commissioner to India, Sudharshan Seneviratne, who was on a visit to Kerala recently had also stressed the need for enhancing security in the Indian ocean citing that the region was prone to various illegal activities like arms smuggling, drug trafficking and human trafficking.